Preparations are underway for KNCV Tuberculosis Foundation to incorporate innovative digital adherence interventions to the Philippines and Tanzania, financed by grants from Stop TB Partnership’s funding mechanism, TB REACH. These projects, as well as one in Ukraine led by PATH, will be directly supported via technical and implementation assistance by KNCV’s new Digital Health Solutions team. Digital adherence technologies are a key focus for KNCV and our Digital Solutions team is committed to supporting country efforts to implement them. The grants reflect the growing global push towards the use of digital health technologies to enhance treatment outcomes. The interventions to be implemented are specific to each country and involve improving TB treatment adherence and outcomes using a variety of digital health monitoring technologies for drug-sensitive (DS) and/or multiple-drug resistant (MDR) TB patients. Both Tanzania and the Philippines projects will demonstrate the use of 99DOTS, a low-cost solution combining innovative medication packaging and adherence logging via mobile phone. In Ukraine KNCV will support PATH in the demonstration of automatic dose monitors (medication “smartboxes”) and video-supported treatment (video DOT) to assist patients in treatment adherence. Besides assessing the overall impact of the planned interventions, the objective of these diverse demonstration projects will be to determine the adaptations needed to make the technology suitable for a variety of contexts, how to incorporate patient-centered mechanisms in the solution, and what steps countries can take to scale and sustain these innovative approaches. If these projects are successful, coverage could be increased in each setting to cover entire country areas, multiple sectors (public and private), and diverse patient ages and TB types. Three-quarters of all TB patients in Tanzania opt for a home-based directly observed therapy (DOT) and are supported by a family or community member throughout the entire process. The overwhelming success of this method has resulted in a national treatment success rate of 90% in 2016. However, certain populations, such as small-scale miners in the informal mining sector, do not have the same access to these family and community support systems. The migratory nature of these workers, their homes in temporary mining camps and the unavailability of family support are all factors that contribute to challenges with both facility-based and home-based treatment. Despite a high national treatment success rate, districts where mining activities dominate record a treatment success average of only 77%. The project aims to tackle this discrepancy by introducing 99DOTS. 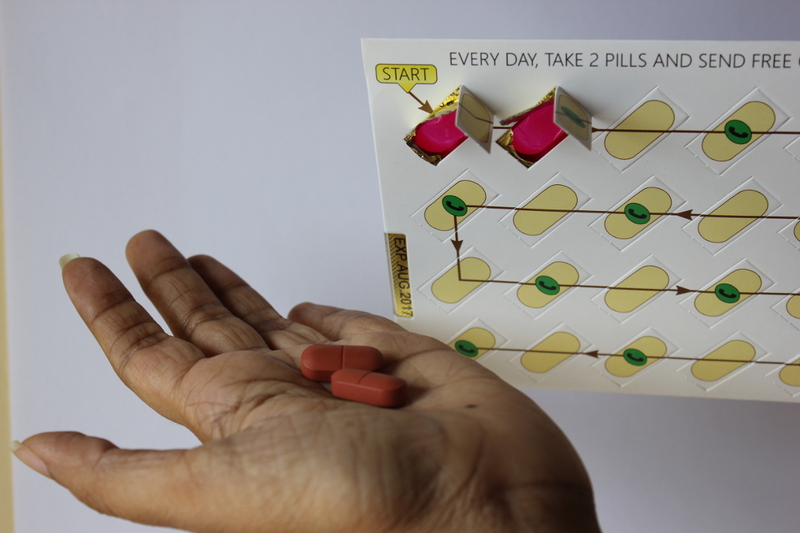 99DOTS is a simple and low-cost way to package patient medication and track treatment adherence. 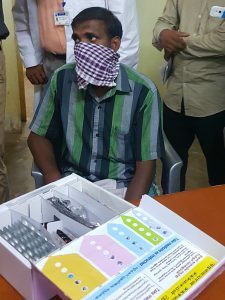 The medication is packaged with a sleeve containing hidden, unpredictable toll-free phone numbers and a two-week supply is given to patients. When a patient takes their medication, a new phone number will be revealed which patients are requested to call once a day. The system will record each patient’s dose history based on their daily phone calls. Patients and a health care worker (HCW) will review their treatment adherence together and if required explore ways for improvement during biweekly refill and counseling visits. Additional communications using text messaging or voice recordings will be used to send targeted educational and motivational pre-recorded messages to ensure continued adherence. This project will aim to enroll 1,000 adult DS-TB patients from a key mining region and will include all eligible patients living within that region. This simple technology will empower both health care workers and patients. Health care workers will receive more reliable and timely information regarding their patients and their treatment process, enabling them to prioritize the support of high-risk, non-compliant patients. In the case of miners, they will benefit from the self-managed treatment style which complements their lifestyle while also receiving the medical care they need. In the Philippines, there is a need for a supportive system to enable private providers to facilitate quality-assured TB care using accurate adherence data. Especially in light of new programs focused on integrating private TB & HIV healthcare providers into the strategy and standards of the public health system. The grant for the Philippines will implement 99DOTS as an add-on service for three Metro-Manila private facilities which are already a part of the public-private mix models, known as the “Building Models for the Future” project. These facilities are engaged with the National TB Program (NTP), meaning they follow NTP guidelines to provide quality care for TB patients and quality assured TB medicines are provided free by the NTP. As in Tanzania, the Philippines project will aim to enroll 1,000 adult DS-TB patients treated with fixed dose combinations (FDCs) within the year-long service delivery period. 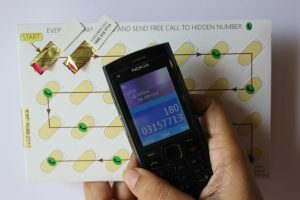 99DOTS will function similarly, but will take into consideration that SMS is one of the most used methods of communication in the Philippines, therefore, the intervention will focus on SMS messaging as an important method of patient self-logging. Ukraine is one of five countries in the WHO Euro Region with the largest number of people living with TB. Current TB care practices require patients to visit a DOTS clinic daily to take their medication. These daily trips can be costly, and the lack of anonymity can be stigmatizing. The goal of the project is to improve treatment success rates, but an additional positive outcome of the implementation of digital adherence technologies could be the alleviation of stigma and cost burden on patients. This project will aim to enroll 800 DS-TB and 300 DR-TB patients in two different oblasts. Before a patient moves to ambulatory (outpatient) care, they will be provided an evriMED electronic dose monitor box. Health care workers will fill the boxes with medication, activate the device and train the patient on its use. Each time the box is opened, a sensor in the device sends a signal to the central system recording that a dose has been taken. This enables remote observation of the patient taking their medication. The device will be configured to emit audio and visual (LED light) reminders for dosing, needed medication refills, and low battery alerts to support the patient with their treatment adherence. 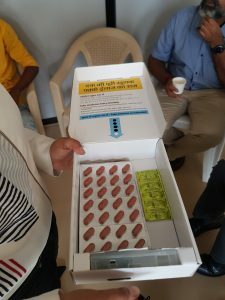 These boxes will empower patients to persist on treatment from home and also empower HCWs to provide targeted patient support based on real-time adherence data. Text messages will also serve to support HCWs and treatment supporters to take immediate action if necessary. This demonstration project will also integrate educational and motivational text messages developed by PATH as part of the Challenge TB project. Those patients deemed in need of additional support or having difficulties with using the evriMED device can be supported by video-supported treatment, VOT. Patients can either have live video consults with their HCW including supporting the intake of medication or upload a video when taking their medication for a HCW to review at a later moment. A consortium of partners with expertise in TB and technology will support the implementation of this project. PATH will lead project activities, Labor and Health Social Initiatives (LHSI) a Ukrainian NGO, will implement field activities, trainings and facility-based monitoring, Everwell Health Solutions will configure the platform including adaption and support, and KNCV will provide technical assistance. Digital solutions implemented in the health care sector are creating endless possibilities. They remove treatment barriers and improve health care services so that everyone regardless of their needs or lifestyle can have access to quality care. The upcoming projects in Tanzania, the Philippines and Ukraine will combine region-specific solutions and exciting new adherence technologies to engage vulnerable populations and provide the innovative methods of TB care needed to match the shared goals of increasing health outcomes for all.